Berliners live for the summer, as winters there are harsh and cold. But once the weather starts to get warmer, the locals head out in droves to enjoy the summer. For those who don’t know the city, but want to enjoy it to its to its fullest during the best time of the year, we’ve compiled a list of our favorite Berlin summer highlights. Right next to the famous museum island, this pretty beach bar offers great DJ music and “drop-in” dance classes (standard, swing, latin, salsa, tango) for just a few bucks. If you don’t feel like shaking a leg, you can also just watch and feast on one of the awesome, freshly made pizzas. The Young Africa Art Market is a multicultural meeting point where you can watch basketball tournaments, listen to Reggae concerts, enjoy some African snacks or dance the night away in the adjacent nightclub. For those that like to burn off some energy, BeachMitte offers Europe’s largest beach volleyball court. Alternatively, you can bask in the sun with an exotic cocktails in one hand and delicious food in the other. Regular salsa dancing parties (and classes before if you need a refresher) mean the party keeps going until late. Not your classic beach bar, this is still one of Berlin’s hottest spots in summer. Sun worshipers and party goers can relax on the floating wooden planks during the day, and at night they can dance to “electro” and “minimal” music until the early morning hours. If you feel like a refreshing dip on a hot day, you better skip the not-so-clean river Spree and instead jump into the large floating pool of the Badeschiff (floating barge). Alternatively, you can play beach volleyball on the riverbank before retreating to enjoy a cocktail and barbecue. Weekly concerts round off this cool hang out, making it one of the most popular Berlin summer highlights. 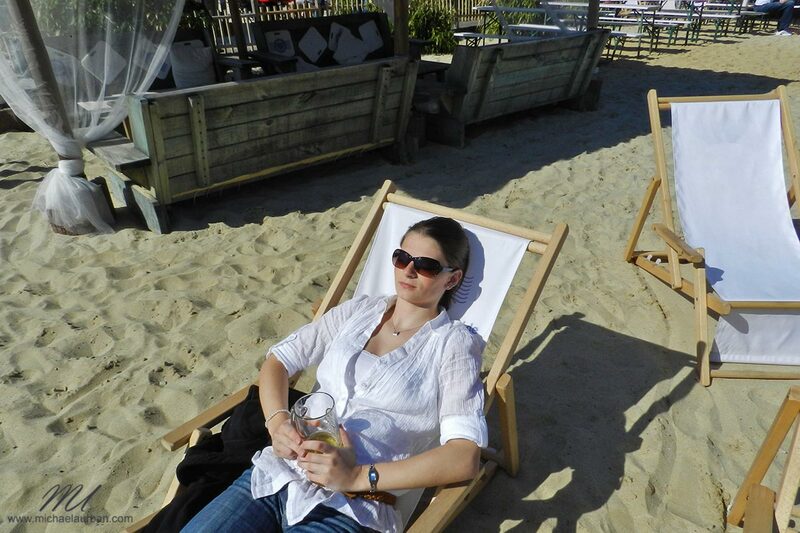 Enjoying precious sunrays in one of the many Berlin beachbars. 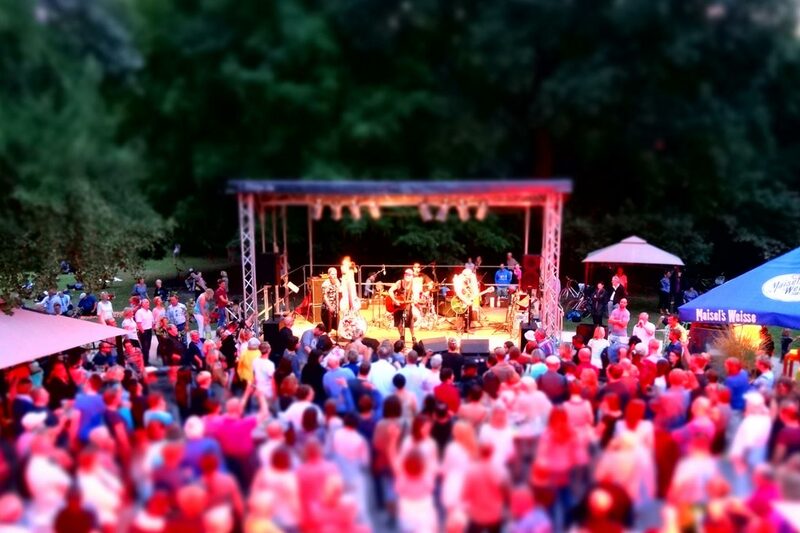 On Sundays in July and August, the Teehaus in the English Garden offers two open-air live concerts. This “Konzertsommer Berlin” is a wonderful international collection of artists playing all genres of music. And best of all: it’s free! Schwofen is the Berliner word for dancing, and Clärchens Ballhaus has been THE place to dance for more than 100 years (long before Prince William and Princess Kate discovered this Berlin summer highlight). Start the evening off with a hearty meal in the beer garden before you take to the floor. If you want a refresher before the DJs start rocking the place, you could catch one of the dance classes at the historic Spiegelsaal. 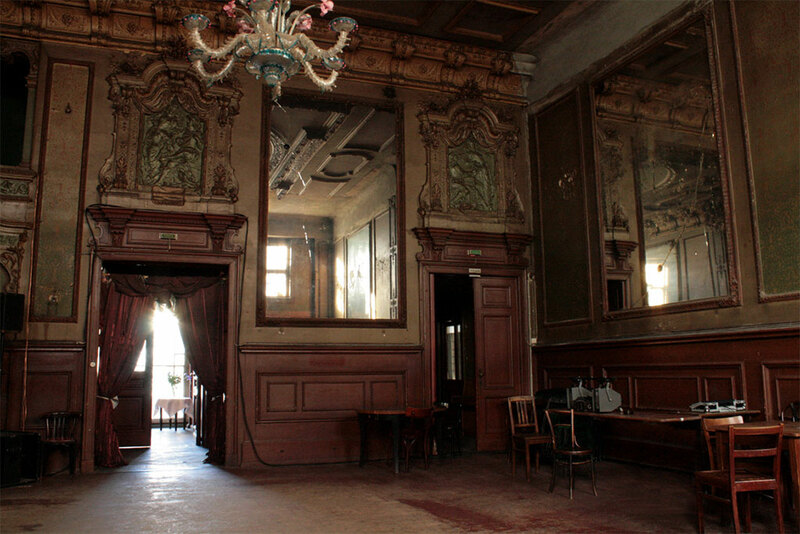 This unrenovated, splendid, decadent jewel will beam you back into the glorious days of pre-war Berlin. Berliners live for the summer, but they also like staying cool. So, many head underground. 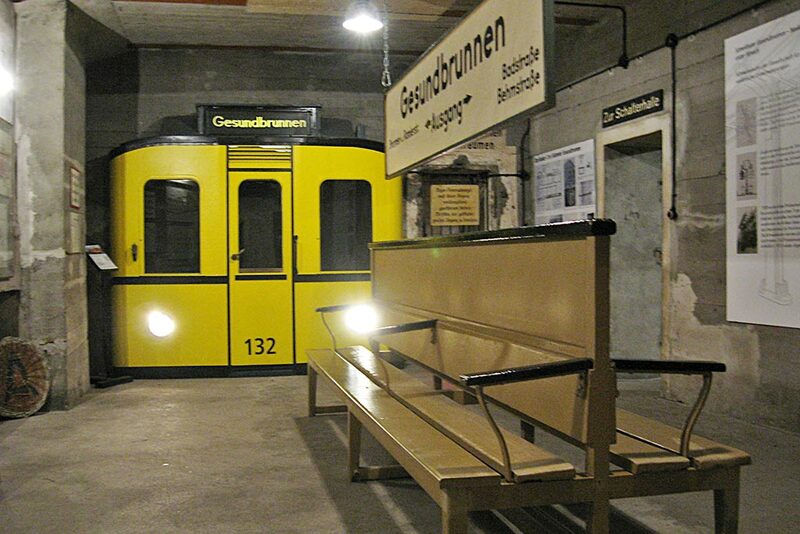 This might sounds strange, but Berliner Unterwelten offers guided tours of underground Berlin summer highlights you would normally never see. Some of these include: the bunkers where Berliners hid during the air raids that destroyed 80 percent of the city during World War II, the former pneumatic post system of the city, a partially destroyed anti-aircraft “Flak” tower from the 1930s, civil defense shelters from the cold war and the escape tunnels under the Berlin Wall. If the temperatures underground don’t cool you down, some of the stories the guides tell sure will. For almost 30 years the 160-kilometer-long Berlin Wall cut through the heart of the city and the lives of its people. There are many tragic and fascinating stories about life on both sides of the wall you’ll hear during a guided bike tour along the Berlin Wall and you learn a lot about the city during the Cold War. 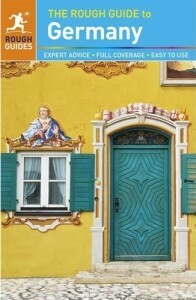 You’ll pass famous landmarks like Checkpoint Charlie (the famed border crossing between East and West), the Brandenburger Gate, Potsdamer Platz, the East Side Gallery and the last of the round deathstrip watchtowers, making this an extremely insightful half-day hour tour while leisurely covering about 10 km / 6 mi). You’ll find out why Berlin was divided and how, hear about the Berlin Airlift, and listen to tales of espionage by both the Allies and feared East German secret police (Stasi), the downfall of communism, how Berlin is dealing with its past and much, much more. Definitely a Berlin summer highlight you shouldn’t miss! 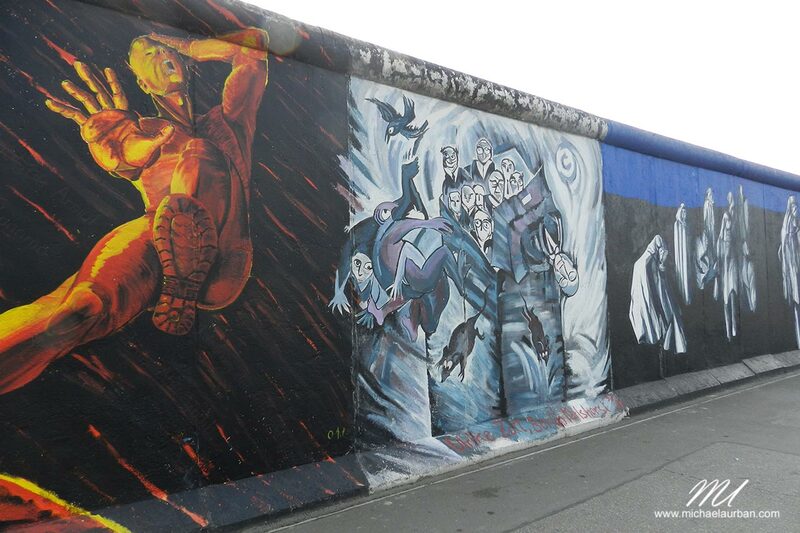 Most of the Berlin Wall has been torn down, but those parts that are left are often covered in art like here at the “East Side Gallery”. I didn’t learn about this particular Berlin summer highlight until the very end of my stay there. Looking for a new way to show Berlin to my family, I came across a boat cruise on the Spree and Landwehrkanal. This 3.5-hour tour takes you under more than 40 bridges (more than Venice! ), passing many landmarks (Reichstag, Oberbaumbrücke, Nikolaiviertel, etc.). Hop on a boat and explore the city from a totally new perspective. In a city where so many activities are focused on the Spree, wouldn’t it also be fun to stay overnight on this legendary river? Well, it turns out Berlin has numerous houseboats scattered along the Spree and other waterways, and thanks to Airbnb, its easy to book them. 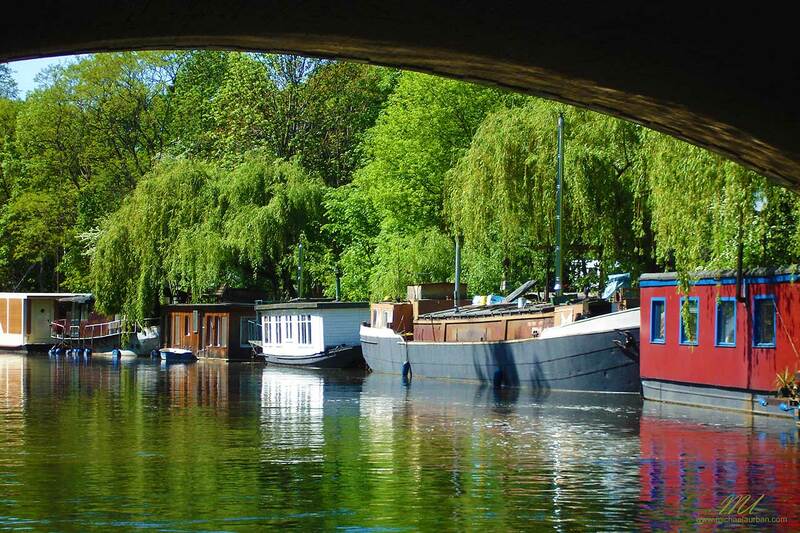 Just check out this list of houseboats in Berlin. (You’ll get a $41 discount on your first booking of at least $77 when you click here — and we’ll get a small commission that doesn’t affect your price but allows us to keep this website running.). 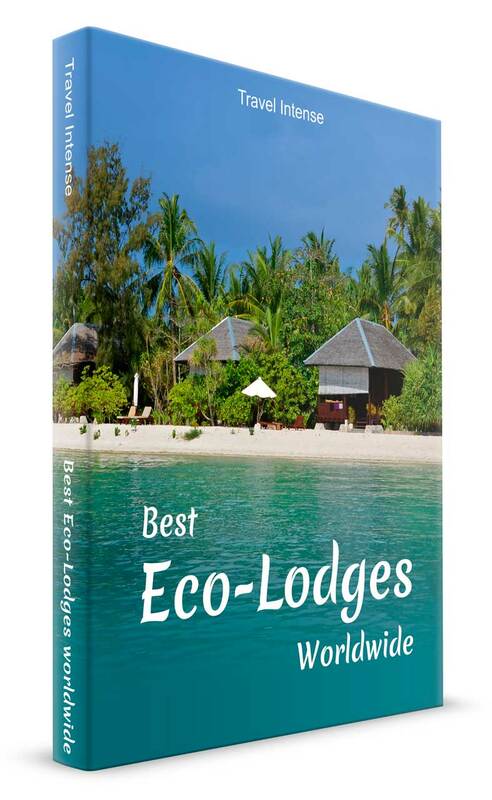 If you are interested in how to find more unique Airbnb accommodations, check out this post. 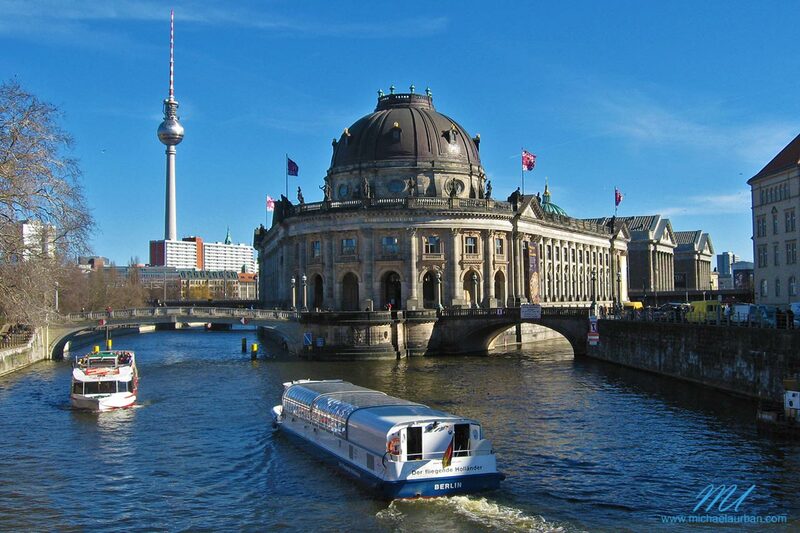 Get up with a view when staying on a houseboat in Berlin. The river Spree runs through the heart of Berlin, but is even more beautiful outside of the city. My favorite place to enjoy the Spree is in the Spreewald (Spree forest). Here, the river winds its way through hundreds of small canals, past beautiful meadows and ancient villages. 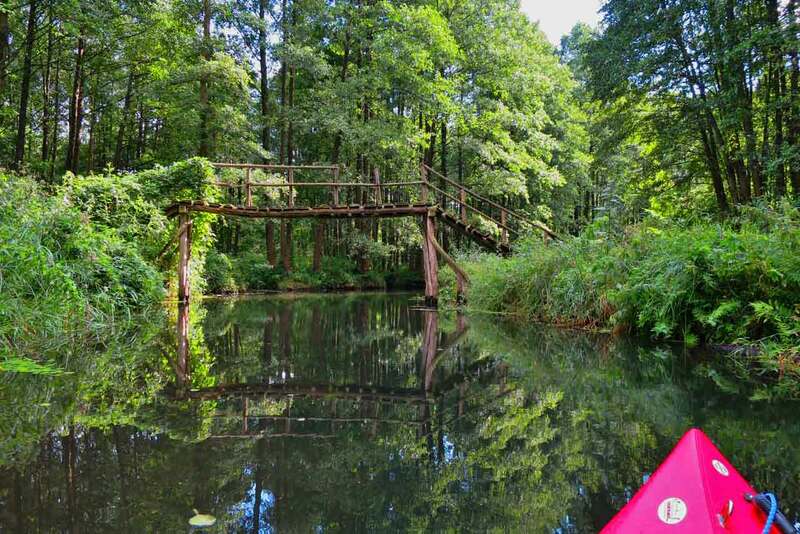 You can take a day tour kayaking the Spreewald or spend a full week floating from the Spreewald back to Berlin. Whatever you do, don’t forget to stop and try the delicious pickles this region is famous for. These are my personal Berlin summer highlights. Do you have some to add? Feel free to do so in the comments below! In 2013 Michaela decided to quit the rat race as a Financial Manager in a multinational company to persue her passion of travel and photography full-time. She hasn't looked back since, and loves to discover places which are off-the-beaten path and not spoiled by mass-tourism. All she needs is jungle, waterfalls, beaches and elephants and she's in paradise! 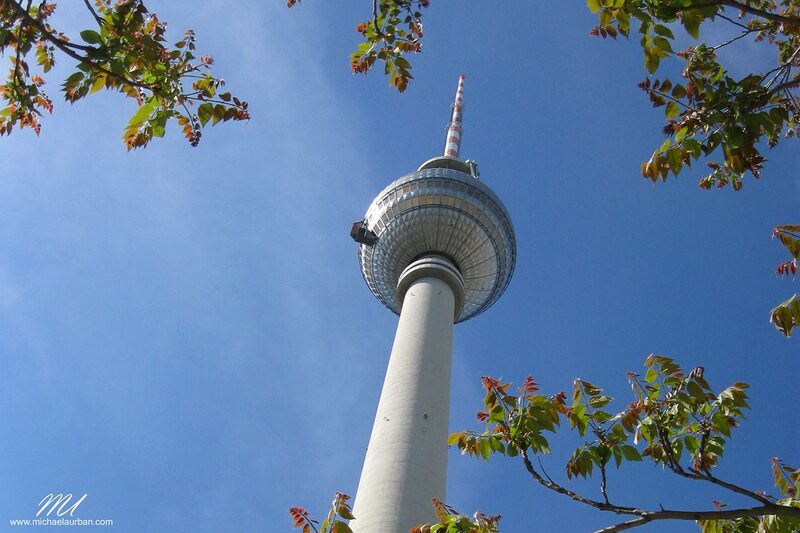 Absolutely love this post about Berlin! I visited something similar to Berlin’s dark past underground, when I toured the nuclear bunker on my last visit. I will be visiting on a business trip with the company I work for, GSE Solutions, in a few weeks. Any highlights you highly recommend I see when I have a bit of time to myself? I’m sure you’ll have a good time no matter what you’ll end up doing! Copyright © 2019 Travel Intense All Rights Reserved.